A young girl wakes up to find a surprise from her parents, a “Red Envelope” with a key that unlocks her musical gift of a new Yamaha Piano. “The day your first piano arrives in your home is a life-changing moment for a young pianist. We wanted to take that message directly to families who have fallen in love with playing the piano” -- Gary Klugman, director of marketing, Pianos, Yamaha. Yamaha Corporation of America has created a broadcast TV commercial to debut in the United States this holiday season—the first US TV commercial for pianos in the company’s history. The commercial tells the story of a young girl who wakes up to a surprise from her parents – a red envelope that contains a mysterious key. As her parents look on, the girl discovers that this key unlocks a precious gift: her new Yamaha Piano. The TV spot, which will air throughout November and December 2017, can be viewed at https://www.youtube.com/watch?v=kN4r7gSx8P0. It can also be customized to suit individual Yamaha Piano retailer needs. 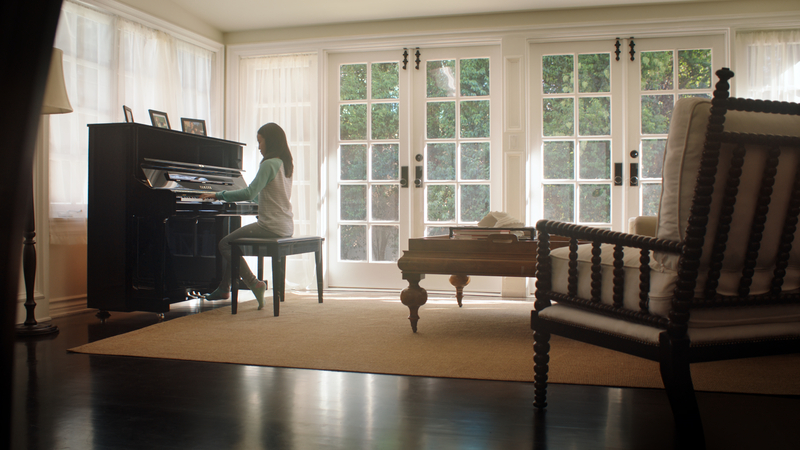 According to Gary Klugman, director of marketing, Pianos, Yamaha Corporation of America, the spot captures a defining moment in a young musician’s life. The commercial is the centerpiece in an integrated campaign targeted to consumers. The campaign also includes POP, direct mail, web and search campaigns, print ads and social media.